Before visiting Stockholm, I spent some time in Finland. Last summer I had the pleasure of staying with my good friend Outi, a Finn and Helsinki native. I traveled to the country solo but had the privilege of touring the historic monuments and getting to understand the culture first hand with a local. Finland was the furthest away from home and also farthest north on the planet I’ve ever been. The rich culture, humble people, and safe city vibe was the perfect introduction to Nordic life. At lot of what you hear about Finland is true. There are more saunas than there are cars. Everything is surrounded by luscious trees and nature. The people are drop dead gorgeous. The language is hard to decipher, but everyone usually speaks 2-3 languages including English. But I also quickly discovered a thriving sustainability movement, fashion scene, vegetarian/vegan community, and tech industry (not just NOKIA) that I didn’t quite know about prior. Finland is a unique place that had a constant influx of Swedish and Russian influence over the past several hundred years. I think Finland today is really starting to shine and share what makes it unique, and not just a bi-product of its neighboring nations. Here are some of my recommendations on things to do, eat, and see in Finland’s picturesque capitol city. I went to many more places on my 5-day trip, but these were certainly the highlights. Cargo: an amazing vegetarian cafe inside a revamped cargo container. Seems to be a local hangout for creatives and a great place to grab a coffee or sandwich and crank out some work on your laptop. Holiday: the perfect place to stop for an afternoon refresher or cocktail. In the summer, the patio is buzzing with people. Located just steps from one of Helsinki’s prettiest landmarks. 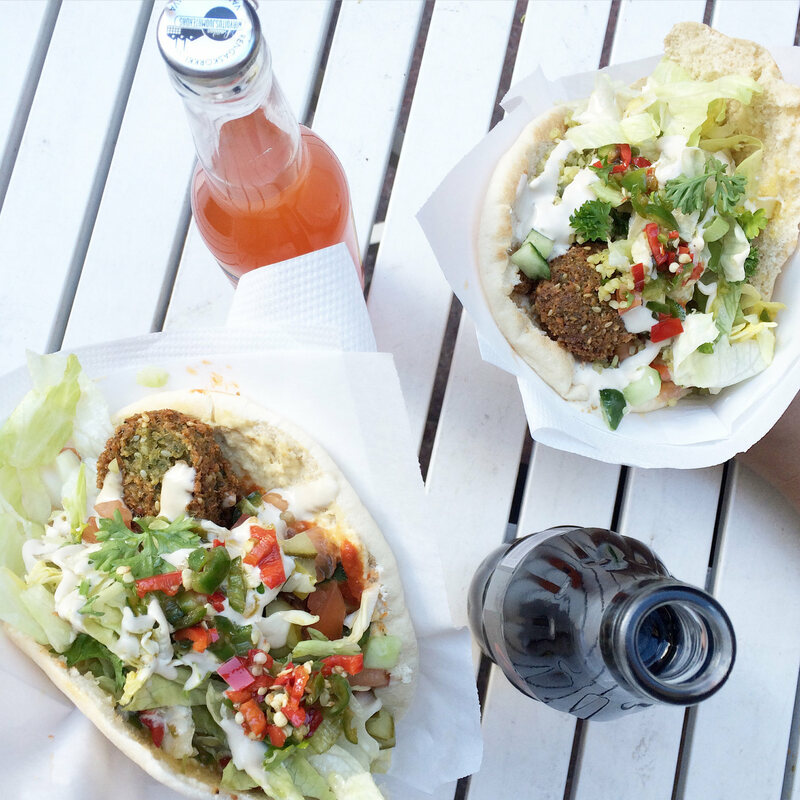 Fafa’s: one of the best falafel pitas I’ve ever had! Although I’m not vegan, I love ordering vegan options from time to time and the falalfel here was incredibly filling. Putte’s Pizza: delicious pizza and beer in a punk rock pub atmosphere. The perfect place to refuel after walking around the city all day. Frangipani Bakery: an adorable bakery with gorgeous pastries and sweets. Be sure to get one of the passionfruit iced teas for something out of the ordinary. Magnum Ice Cream: while not a true Finnish brand, a stop by the ice cream bar is a must for anyone with a sweet tooth. You can even top your concoction with salmiakki, a traditional local confection of salted licorice. Salmiakki is far too strong for me, so I just stuck to my classic pistachios, strawberries, and chocolate. Finnair Skywheel: a somewhat newer city icon, the Skywheel is worth the few € for the ride. You get some amazing views of the city found nowhere else. There’s actually even a sauna car on the ferris wheel. That’s so undeniably Finnish! Old Market Hall: for a true taste of Finland, you must take a stroll through this food hall. You could get a small bite to eat at each counter, or even take a meal to-go. I even found canned reindeer and bear that I almost bought and brought back to the states for some of my adventurous foodie friends to try. 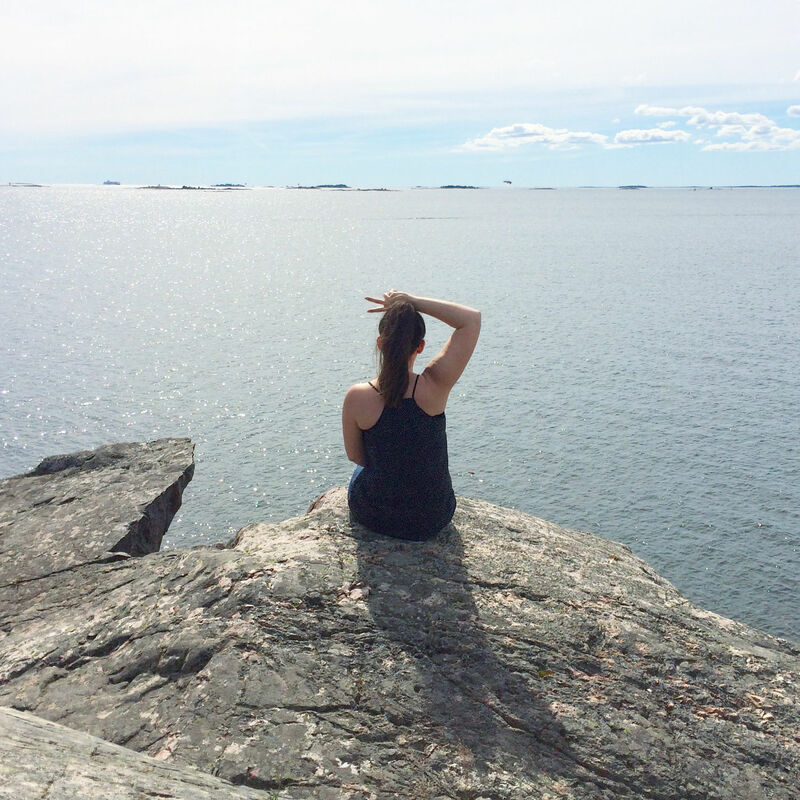 Suomenlinna Island: for a bit of history and a serene getaway, just take the short ferry over to Suomenlinna. You can roam the old fortress, ride historic replica war ships, bird watch, and picnic along the rocky beaches and cliffs. 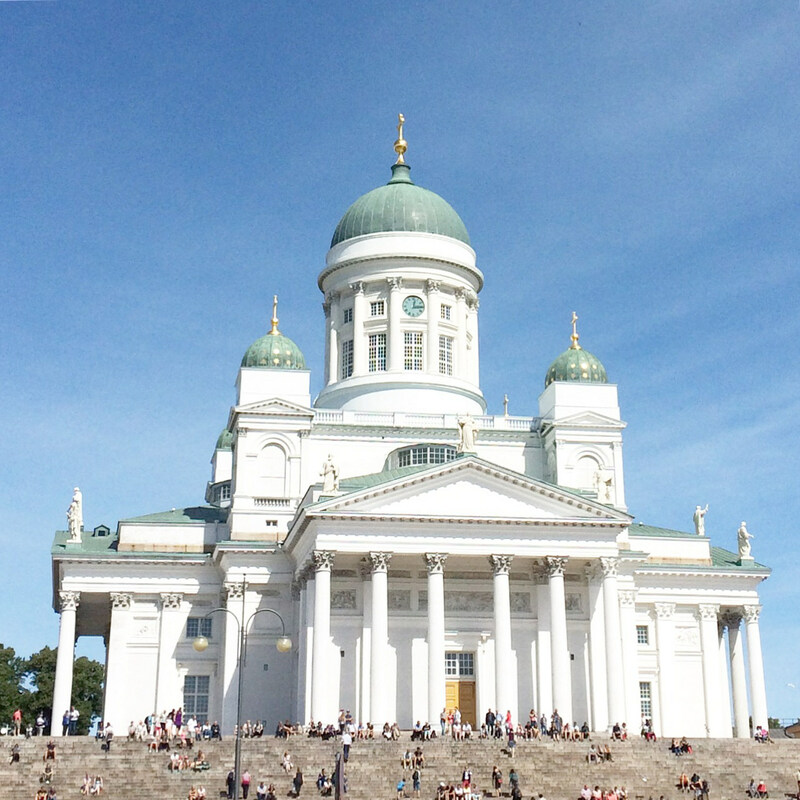 Helsinki Cathedral: possibly Finland’s most iconic building! Electronic music fans may recognize this monument also from Darude’s Sandstorm music video. The Senate Square at the bottom of the steps is one of the best photo opps in the city. Uspenski Cathedral: this traditional orthodox cathedral is equally as breathtaking outside as it is inside. The interior is much more intricate than Helsinki’s other main cathedral. Definitely worth a walk up the hill to see this magnificent holy site. Löyly: if there’s one thing you do on your trip to Finland, make it a sauna! This is a sleek and chic sauna right on the water, in a modern and eco-friendly designed building. Enjoy the two saunas, a dip in the chilly Baltic sea, and then a cocktail on the patio. 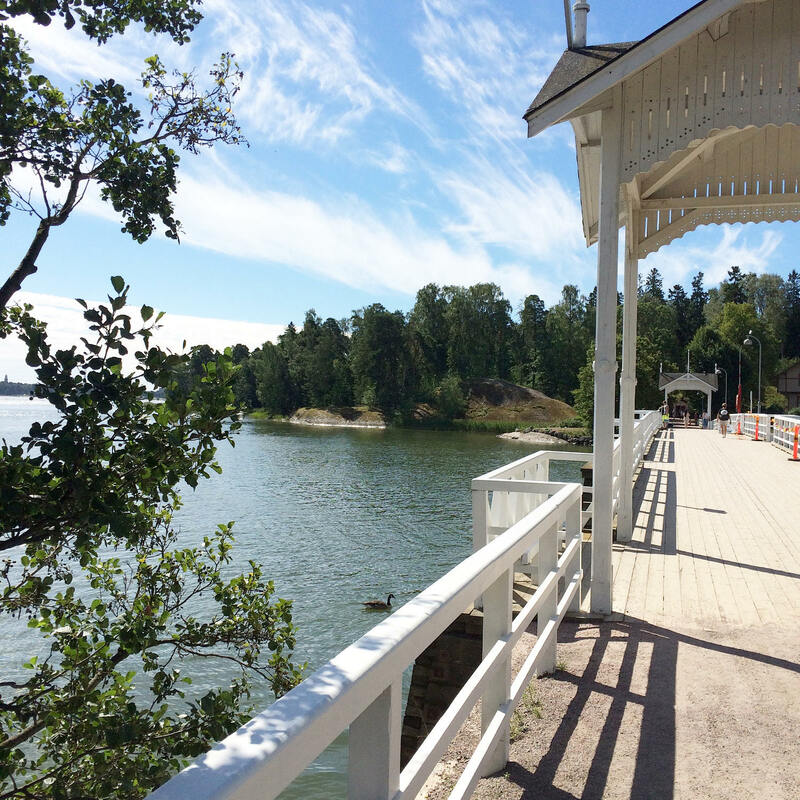 Seurasaari Island: another island oasis on the edge of the city. Seurasaari features many old replica cabins from eras past as well as some pretty cool art and design installations scattered across the island. It was incredibly peaceful and serene, and definitely less crowded than Suomenlinna. Stockmann: Helsinki’s largest and most noteworthy department store. Minna Parikka: a must-see boutique and designer for any shoe addict, but you can also find her quirky designs in department stores like Stockmann. Kylie Jenner, Cara Delevingne, and Taylor Swift have all been spotted wearing her designs! Marimekko: probably one of Finland’s most recognizable designers and a must-see for cute printed clothing, accessories, homewares, and souvenirs. Moomin Shop: Moomin is like the Hello Kitty of Finland. You can’t leave Finland without seeing Moomin merch at least a few places, including the airport. Like this post? Be sure to read through some of my other travel posts before you go. Stay tuned for my Berlin and Amsterdam guides coming soon! A lot more travel content is to come this year as I narrow in on my 30 by Thirty travel challenge. Thanks for this post and I know I will be needing this someday especially the list of “where to eat” restaurants. I was very entertained with your video and hoping I can experience all of that for myself. I’d love to go here! Those bunny shoes are adorable–I’d so wear them. I’ve never been to Finland but I’ve always wanted to go. I think this makes a great guide for people who are going to visit Helsinki for the first time! Finland sounds amazing! I’ve never travelled in Scandinavia but it’s definitely on my bucket list! How beautiful and I really enjoyed the video. Your photos make me want to add this to my bucket list. I would love to visit Finland! The scenery looks gorgeous and I would do food tasting in old market hall. Wow!! This place looks gorgeous!! This is officially on my bucket list now. Oh this would be a dream! Love this! I’ve never been to Helsinki! Your photos are absolutely stunning. I can’t wait for your Amsterdam guide to come out! Oh wow! Looks like such a gorgeous place to visit. I would love to go there one day. Amazing ideas about travelling to Helsinki! If I ever get to go, I will definitely consult your guide – looks like you have found great places that I would love to visit as well! Helsinki looks amazing!!! Definitely adding it to my bucket list!! I haven’t been to Helsinki for ages! Have to visit the Finnair Skywheel and Marimekko shop the next time I visit the capital of Finland. My daughter is a huge fan of Moomin. Oh, I love seeing my old hometown ❤ Helsinki is one of the coolest places I know. And I miss all the moomin stuff and Finnish design! Luckily we have some of them available here in Norway. Kiitos for your comment! <3 I can't wait to visit Helsinki again one day. Love Moomin – I actually recently saw Moomin cafés in Taiwan and Hong Kong!